To get started on the Goss Family History you need to study up on what has been written before. There are many Goss lines that settled in the United States and not all are our lineage. 7th Great Grandparents Resolved White and Judith Vassall. Resolved name is pronounced with the ed like Resolve – ed, not Resolve. 8th William White and Susanna (last name not known) – The Mayflower Passengers and Resolved’s parents. 6th Great Grandparents: Philip Goss (1650 to 1698) and Hannah Hopkins. Philip divorced Hannah and remarried to Mary Prescott in 1690. I suggest that you go to Family Search’s website and download a copy of several of Paul’s manuscripts. You will find him listed under Paul H. Goss and Paul Henry Goss. I will be referring to these two manuscripts a great deal in future posts. –A. The Goss Family History or Ebenezer Goss, the stone of help : ancestral history of the family of Philip Goss (4th) of Brookfield, Mass. and Ebenezer Goss of Brookfield, Mass., Huntington Mills, Pa., Plymouth, Conn. and Randolph, Portage Co., Ohio, Revolutionary War soldier, by Paul H. Goss, 1940, 153 pages Book: 929.273 G694 off site storage. Also on microfiche #6004255. Description: This manuscript is about Paul H. Goss’s descendancy from Philip Goss of Roxbury and Lancaster, Massachusetts (1650 to 1698). It follows the above described lineage going in reverse down to Paul and his family. Paul also gives the children of the above people and explains their relationships to him. At some point I will review my Ebenezer Goss research and share in future posts. Description: This manuscript is really a compilation of many articles written by Paul H. Goss and put together into this one grouping. Below is a table of contents for this manuscript, broken down into it individual parts, to make it easier to understand. I will be referring to the individual manuscripts as listed below in future posts. I ask that you pay attention to the fact to the file number to know where I found the article, like: FHL#942004, Item 6. So this is why you need to download the documents as listed above per the link above. The page numbers refer to the page numbers of the manuscript stamped at the top right. Affidavit-General, State of California, County of San Diego, 9 November, 1949, signed Paul H. Goss and signed by a Notary Public testifying to the correctness of the following Brief regarding the errors about the Goss family lineage. A Criticism and Brief on the Goss Family as presented by Edith B. Sumner (1948) in her book: Ancestry of Edward Wales Black and Clarissa Matilda Glidden and Ninety Allied Families,” by Rev. Paul Henry Goss, Presbyterian, U.S.A, 1949, page 2 to 13. Original copy of this document is part of FHL#0924004. The Edith’s book is on Internet Archive in full if you want to find a copy to study. Letter of Edith Bartlett Sumners, Los Angeles, CA, to Mr. Goss, August 9, 1947, FHL#924004. Pages 14 to 15. Letter of Mrs. Flora Montanye Osborn, Ann Arbor, Michigan to Mrs. Edith B. Sumner, Los Angeles, California, October 12, 1949, from FHL#924004. Page 16. Letter from Edith B. Sumner to Mrs. Osborn, October 16, 1949. FHL#924004. Pages 17 to 18. Letter of Flora Osborn, Ann Arbor, Michigan, to Paul H. Goss, Chula Vista, California, October 19, 1949. FHL##924004. Page 19. Genealogy-Ball-Goss, The Hartford Times, Saturday, August 1, 1942, Genealogy, A Weekly Department, by Bertha Lee H. pages 20 +. Original copy of this document is part of Family History FHL# Film #0924004. Goss Family Data & Comment on Temple’s History of North Brookfield, Massachusetts, by Paul Henry Goss circa 1940’s, pages 22-27, Original copy of this document is part of Family History FHL# Film #924004. The History of North Brookfield is also online at Internet Archive. Philip (4) Goss, “of Brookfield, Mass.,” Pioneer, Proprietor and Patriot of Becket, Mass., by Rev. Paul H. Goss, Presbyterian, USA, 1940’s. Original copy is part of Family History pages 28-41. FHL# Film #0924004. Note that this is emphasizing Becket, Mass. This is where Philip Goss IV and Mary migrated to before going to Pennsylvania. It is where Ebenezer Goss was born. Keziah Cooley Goss, This is a correction to the data which was published in the Vol. IV of the October 1942, Number 1, pg. 4, Quarterly Bulletin of the Cooley Family Association, page 42-44. by Paul Henry Goss, Oct. 1942. Original copy is part of the Family History Library film FHL#0924004. This article is not really about Keziah Cooley Goss, more about Philip Goss and Mary Kendall’s migrations to Simsbury to Granby to Granville and Becket. Ebenezer Goss Bible Transcriptions by Faith Goss Newman, birth, death and marriage, “I swear that these pages are a true copy from the Goss family bible, now in my possession.” Signed by Faith Goss Neumann and witnessed by a L.L. Taylor 23 July, 1941(I), see FHL#0924004. Letter of Ebenezer Goss to nephew Nathaniel Goss, dated 19 October, 1819. Transcribed copy (page 52-54) and original copy found in FHL#0924004. Goss Probates of Lancaster, MA, Worcester Co., Probate Court, transcribed versions in FHL Film #0924004, pages 55 to 63. The above documents from the probate of Philip Goss is not a complete copy of the probate file of this men.  Massachusetts probates are online at Family Search’s website under Worcester Co., MA. Warrant for Partition, Philip Goss, Administration, Series A, Case #24905, Recorded Vol. 3, pg. 24, page 52 and 53. First Account or Appointment of Committee or Commission, Judge Joseph Wilder, Philip Goss Administration 1747, Series A, Case #24905, Recorded Vol. 3, page 24, page 57 to 58. Second Account page 59 to 61. Third Account of Philip Goss Administration 1747, pages 62 to 63. A6351 Shickshinny: Goss-Prescott-Woods Article, by Rev. Paul H. Goss, Presbyterian, U.S.A, pages 64 to 83. Copy in the Family History Film, FHL#0924004. In this article Paul H. Goss is trying to prove that John Goss and Mary Woods had a son named Philip Goss born 1720. Proceedings of the Commissioners Under the Confirming Law,” Book 2, Page 84 to 88, copied by Paul H. Goss, July 1946. Transcribed copies on Family History Film, FHL#0924004, page 84 to 88. As of today, there is more about the land issue in the Luzerne Co., Pennsylvania area. I will share what I know in future posts. Philip (4) Goss “of Brookfield,” Massachusetts, Granville, No. 4 Becket, Simsbury, Connecticut, Plymouth and Huntington Townships, Luzerne County, Pennsylvania, Family, a copy of 1041,The Michael Shoemaker Book,” page 663, by Paul H. Goss, circa 1940’s. FHL#0924004 pages 89 to 99. Pages maybe a little mixed up on the film. From George B. Kulp, “Families of the Wyoming Valley,” Vol. II, pages 615 and 616 (1889), Corrected and brought up-to-date, circa 1945, Family #616 Dennis O’Brien Coughlin, Paul H. Goss, New England Historic Genealogical Society, Special Collections” – GOSS Collection. See list of contents of the two boxes housed there. Copy of the book is at Internet Archive. Letter from H.W. Bradley, on Masonic Relief Board Stationary, Indianapolis, Indiana to Mr. Paul H. Goss, Chula Vista, California, July 31, 1945, case #6667AA, page 103 to 104 . Mr. Bradley tries to explain the situation surrounding Paul H. Goss’ father’s death. Copy At the Regular Meeting Minutes of Marion Lodge #35, 14, Nov. 1848, Signed by C.W. Tappan, Protem, page 105. More on the death of David Goss. State of Indiana, County of Marion, Affidavit and copy of Marion Lodge #5 minutes of October 23, 1848, signed by H.W. Bradley and Notarized on Sept. 18, 1945, page 106 to 107. More on the death of David Goss. Transcription from the Dept. of Commerce to Paul H. Goss transcribing the census for Lucius Goss Family for 1870 and 1880, dated 18 September, 1945. Back in 1945 one had to write to the Dept. of Commerce to obtain census information. Today we can obtain copies by going to Ancestry.com or the Family History Library or other archives and online sources. To obtain copies for census after 1940, one has to write for the information to the government. Because of this, Paul did not use the census as much as he could have. Here is the source for the actual census copies. 1880 U.S. Federal Census for Lucius Goss Family, Hiram Twp., Portage County, Ohio, Roll 1059, FHL#1255059, Page 278A, Image 0212, Ancestry.com. White-Goss Mayflower Ancestry through William White, the Mayflower Passenger, by Paul H. Goss, 1947. A copy is on Family History Film 0924004 of pages 109 to 122. This covers the Mayflower lineage of Ebenezer Goss a son of Philip Goss and Mary Kendall Goss. Paul H. Goss is a descendant of Ebenezer Goss and Bede Blakeslee. Over the years, I have collected Paul’s writings. I have observed Paul’s evolution in understanding of his Goss Family history. He didn’t know much when he started. He had to build the pedigree. As he learned more and more about the lineage he would write an updated manuscript. Paul was interested in Mayflower and that was his focus. He also didn’t have a lot money so, just like all of us he had to pick and choose his research goals. Since he wrote these manuscripts cousins have been making new connections and hopefully I can point the way. Paul knew about Mary Goss, a potential sister to Ebenezer and Solomon and the others, but he dismissed it. Well there are those out there that feel there was a Mary born before Ebenezer. In future posts I will share what I know about this additional information. There is also the research on John Goss a son of Nathaniel and Thankful Goss that has come to light. I am sure Paul would embrace these finds. Meanwhile, be advised that because of copyright issues, I have to be very careful. I cannot share originals on this blog only transcriptions. I will try hard to point the way to where you can find copies. Internet Archive – https://archive.org/index.php Just put the title of a book into Google and if it is with this digital library it will show up. Or other websites that have online books will also come up. Guidelines for commenting and asking me questions. If you have a question about any of the above, please be very specific when you contact me, and give me the number like B#22 or just A with some detail and then the name of the page. This is going to be very complicated and I could use all the help I can to answer your questions. Contact me at bjmcdonell@gmail.com. Consider making a comment on the post or page so that your comments make sense and so we can share in the conversation with others. Just make sure you are on this blog when you do make a comment with on a post or page. I do have other blogs and sometimes people get mixed up. Also, please be kind, if you don’t agree with me that is okay, just give me your sources and your reasons. That way I can check them out. One last thing: commenting on a post is different then email, so don’t give me your life story. Be specific and on topic to be safe. Otherwise, email me.